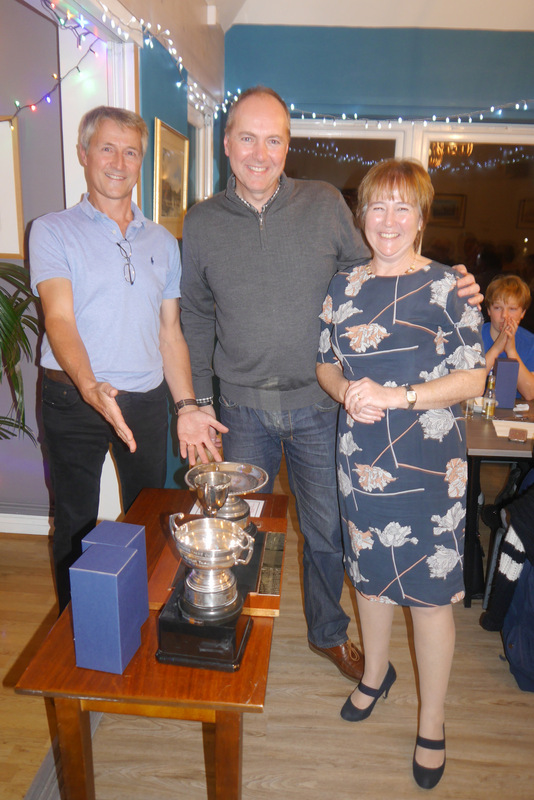 Alastair Jenkin, Rear Commodore Dinghy, hosted the annual CYC dinghy prize giving evening. The evening was split into two halves, with the junior prizes being awarded early. 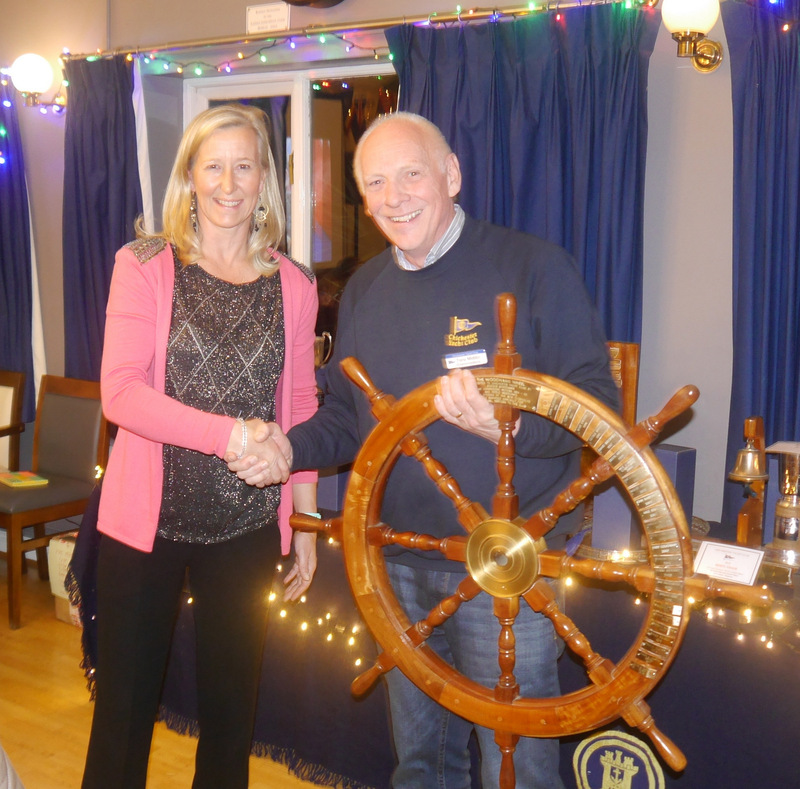 CYC’s commodore, Tony Mobbs, took the opportunity to present Clive and Claudia Bush with a club award, the Woodham Wheel. The club’s general committee wanted to recognise the outstanding effort they had made over the past three years to develop the Optimist fleet at CYC. In 2018 the optimists had one of their best years, with a very successful Open meeting and a number of the junior sailors doing well in open meetings around the harbour. 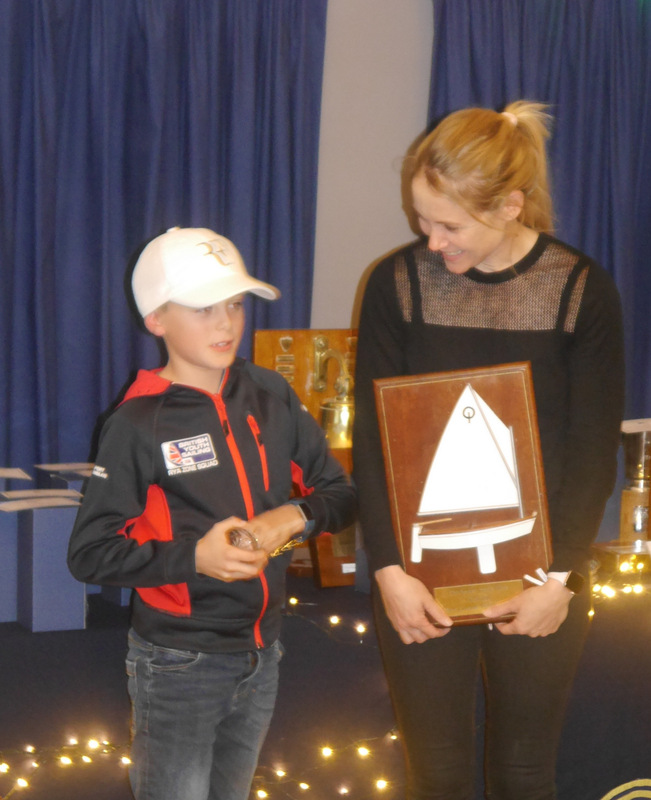 Claudia then presented the Prizes to the Optimist fleet, ably assisted by double olympic gold medalist, Sarah Ayton. Third place over the season was awarded to Bas Bush, second place by a narrow margin was awarded to Effie Grant, and the winner was awarded to Thomas Dempsey, who made a very good speech, thanking the club, the coaches and his Mum, Sarah. After a break for dinner Alastair began the prize giving for the more senior members of the section. The presentation was very informal and with so many prizes to award, Alastair paced the evening so that the formalities were over quickly. The big winners of the evening were the Olliff’s, Michael and Paula, their trophies this year were so many that members of the section offered to lend them a wheel barrow to take them away. Many more photo’s of the event are available on the Dinghy Yogile Page.